The contamination of water is known as water pollution. When the water in ocean, seas, rivers, lakes and groundwater begins to pollute, we called it water pollution. There can be so many reasons for water pollution. There are two broad categories of water pollution, i.e. point source pollution and non-point source pollution. When only one source is accountable for pollution like oil spill, it is known as point source pollution, while if two or more sources are responsible for pollution, it is known as non-point source pollution. In many cases the pollution influences the immediate area nearby the source. However, there are instances where the pollution has an impact on the environment miles away from the source, .e.g. nuclear waste; this sort of pollution is known as trans-boundary pollution. The most common form of the water pollution is surface water contamination. Surface water pollution can be seen with naked eye floating on the surface of the water. 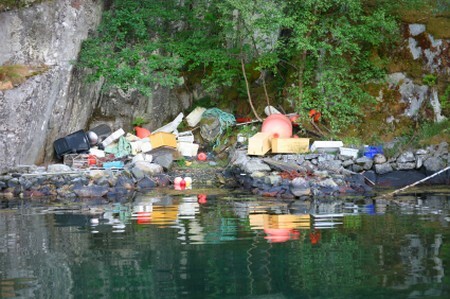 Normally, surface water pollution is associated with trash, but it can be sometimes based on chemical substances such as oil slicks or gasoline. We all are pretty much aware of the fact that a large amount of water is discovered under the soil or rock structures, which are called aquifers. Aquifers are used as a source of drinking water and wells are built to access the water from them. Once this water gets contaminated, we called it groundwater pollution. Mostly, pesticide infectivity from the soil is responsible for this sort of pollution. The natural form of water pollution is often taken as microbiological pollution. Microorganisms are accountable for this sort of pollution, which prosper in water affects fish, animals and humans as well. Microorganisms usually include bacteria, protozoa, and viruses which are extremely harmful and can cause disease like cholera. Due to insufficient water purification treatment plants in poor countries, these diseases are quite common. Biodegradable substances present in the water help microorganisms to flourish. This in turn increases the number of microorganisms in the water quickly and they begin to consume the available oxygen. This phenomenon is known as oxygen depletion. Due to the high amount of oxygen consumption inside the water, the aerobic microorganisms die and the anaerobic microorganisms flourish and become a big threat for humans as well as for environment as some of them can produce toxic elements such as ammonia, sulfides etc. Nutrients are abundant in wastewater and fertilizers which are extremely vital for the plants growth and development. However, the excess amount of these nutrients in water can be harmful as well because the high concentrations of these nutrients in water allow the weed and algae growth. They can contaminate the drinking water and also provide damage to other aquatic species. There are pollutants and contaminants which don’t dissolve in the water, such pollutants are known as particulate matter. 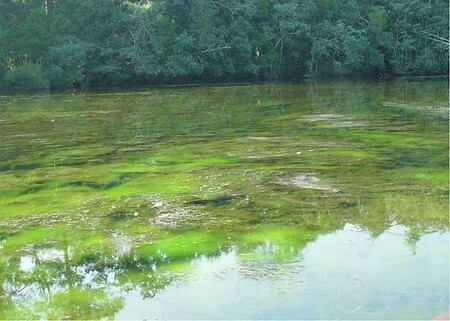 These particulate matters are capable of polluting the water by settling down at the bottom and make thick silt there. 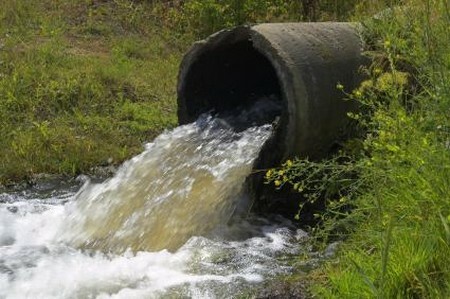 These matters often produce toxic substances which pollute the water and endangered the aquatic life. Agricultural and industrial developments are the two major sources that are responsible for polluting water with the chemicals discharged in water. Rivers and lakes are the most affected from the industrial wastes in the form of metals and solvents. Similarly, the pesticides used to control weed, insects and fungi can also pollute the water. Chemical substances have severe effects on aquatic life. Another source of chemical pollution is the petroleum. Oil spills from the ruptured ships is equally harmful for aquatic life and sea birds. Silts and several other suspended matters together give rise to the water pollution. Within the lakes, rivers, seas or other water bodies Eutrophication occurs under natural conditions which increase the level of sediments and organic matters in the water which affect the aquatic life and also the humans as well as plants.